Clifton Beach is located on the South Arm Peninsula about 25 kilometres southeast of Hobart. A highly popular beach with local surfers, there's consistently good surf due to the exposure to the southerly swell. It does typically have quite a steep beach front, therefore care should be taken with young children and weaker swimmers. The beach stretches for about two kilometres with some excellent rock fishing on offer down the far end, and is backed by a beautiful coastal reserve including rolling dunes. The town itself has plenty of locals and enjoys a lovely 'holiday' feel all year round. It's also a fantastic place to view the migratory shearwater birds - find out more at the link below. 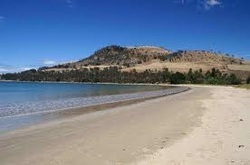 Seven Mile is a popular beach for Hobart locals and probably the closest 'real beach' to the city. With quite a large residential element, Seven Mile has a nice family-friendly and relaxed feel to it. 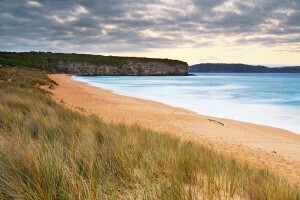 About 15 kilometres east of Hobart, it's an easy commute and is the ideal place for a long leisurely beach stroll (7 miles if you feel the urge) or a dip on a nice summery day. There's accommodation available, as well as camping options, restaurants nearby and barbecue facilities.